Campaign for the American Reader: Pg. 99: Howard Gillette, Jr.'s "Class Divide"
Featured at the Page 99 Test: Class Divide: Yale '64 and the Conflicted Legacy of the Sixties by Howard Gillette, Jr.
Members of the Yale College class of 1964—the first class to matriculate in the 1960s—were poised to take up the positions of leadership that typically followed an Ivy League education. Their mission gained special urgency from the inspiration of John F. Kennedy’s presidency and the civil rights movement as it moved north. Ultimately these men proved successful in traditional terms—in the professions, in politics, and in philanthropy—and yet something was different. Challenged by the issues that would define a new era, their lives took a number of unexpected turns. Instead of confirming the triumphal perspective they grew up with in the years after World War II, they embraced new and often conflicting ideas. In the process the group splintered. In Class Divide, Howard Gillette Jr. draws particularly on more than one hundred interviews with representative members of the Yale class of ’64 to examine how they were challenged by the issues that would define the 1960s: civil rights, the power of the state at home and abroad, sexual mores and personal liberty, religious faith, and social responsibility. Among those whose life courses Gillette follows from their formative years in college through the years after graduation are the politicians Joe Lieberman and John Ashcroft, the Harvard humanities professor Stephen Greenblatt, the environmental leader Gus Speth, and the civil rights activist Stephen Bingham. 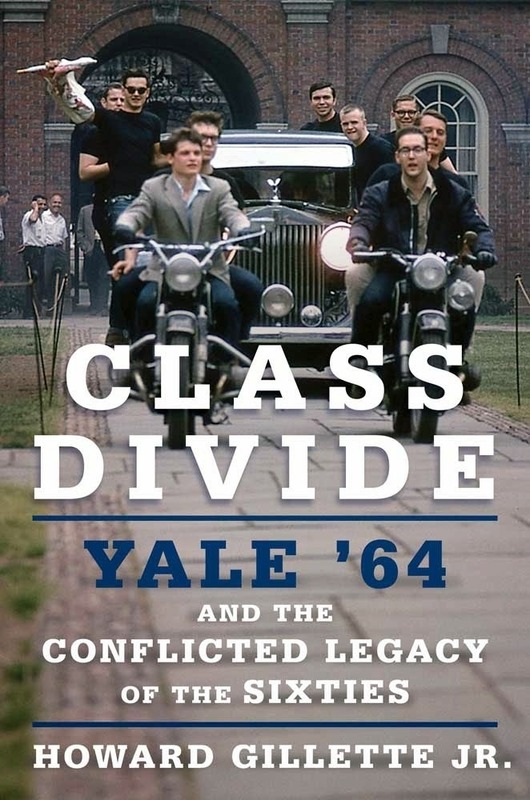 Although their Ivy League education gave them access to positions in the national elite, the members of Yale ’64 nonetheless were too divided to be part of a unified leadership class. Try as they might, they found it impossible to shape a new consensus to replace the one that was undone in their college years and early adulthood. Learn more about Class Divide at the Cornell University Press website. The Page 99 Test: Class Divide.